We have a family calendar in the kitchen by the command center – this is for appointments, school events, birthdays, anniversaries….I don’t write down anything work related on this calendar (unless I’ll be out of town or speaking at an event). 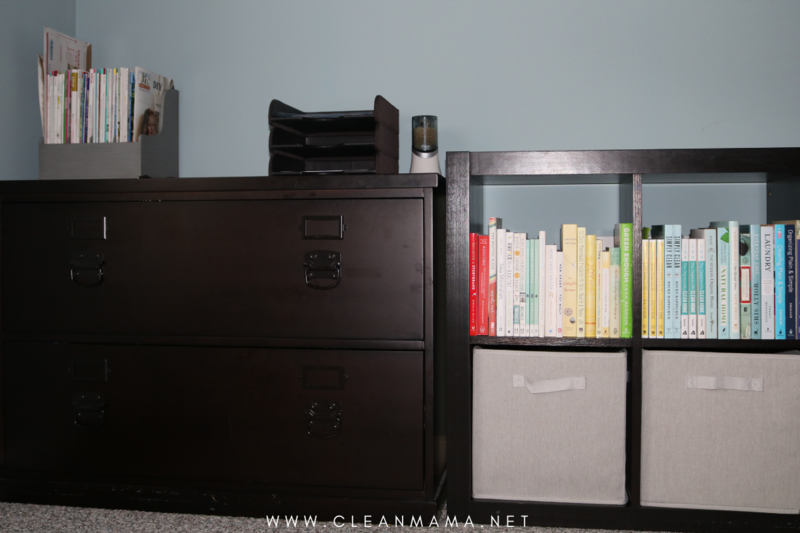 This simple 3 file system has worked for us since the kids started school. I love it! Next up, my office. My office holds some kid stuff but I’ve had to relocate most of their items because I really need the space to keep track of all things Clean Mama. On my desk I have this little organizer – I keep my planners (Homekeeping Planner and Daily Planner – you can find them here) on it. I also keep notepads and other computer accessories in the organizer. I keep a little fabric covered container with note and birthday cards here to keep them easy to grab. 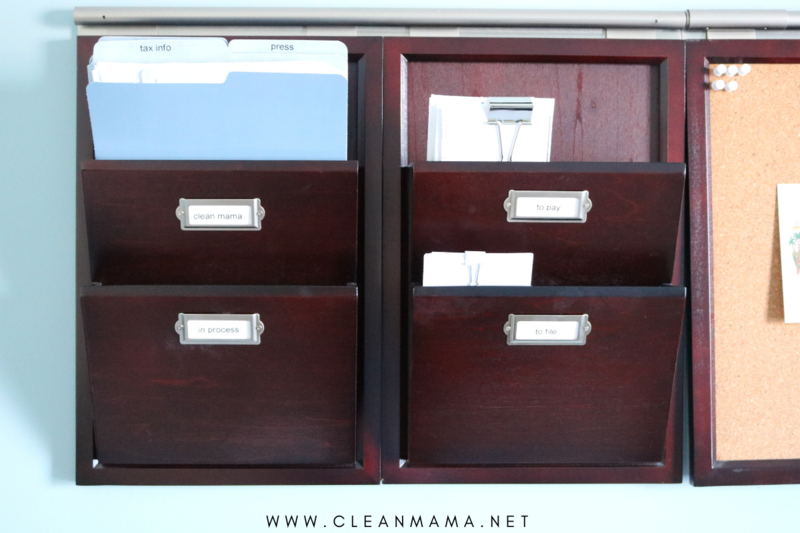 The Clean Mama pocket has vertical file folders with a couple subcategories – tax info, press, and contracts. I used to just keep everything all together but just a simple division like this made it easier to keep things in their place. 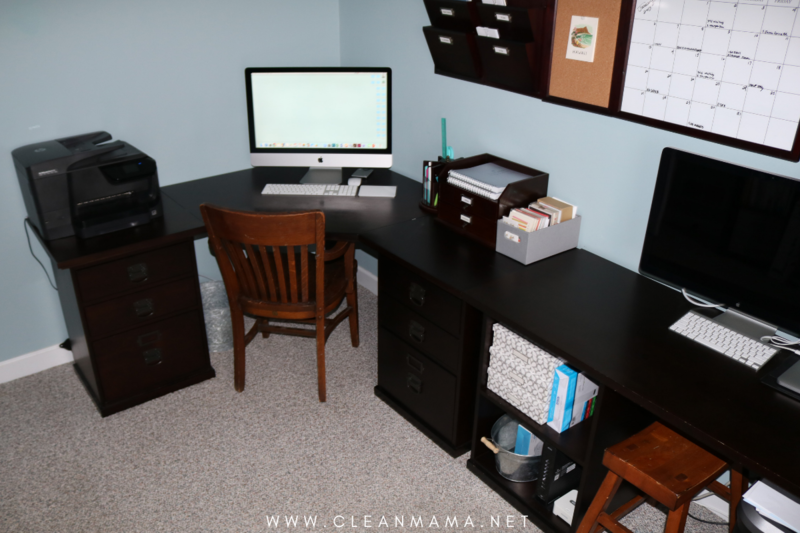 I love the desk system that I set up – it’s actually a corner desk and a small desk put together and linked below. I have my laptop and screen on the smaller desk. 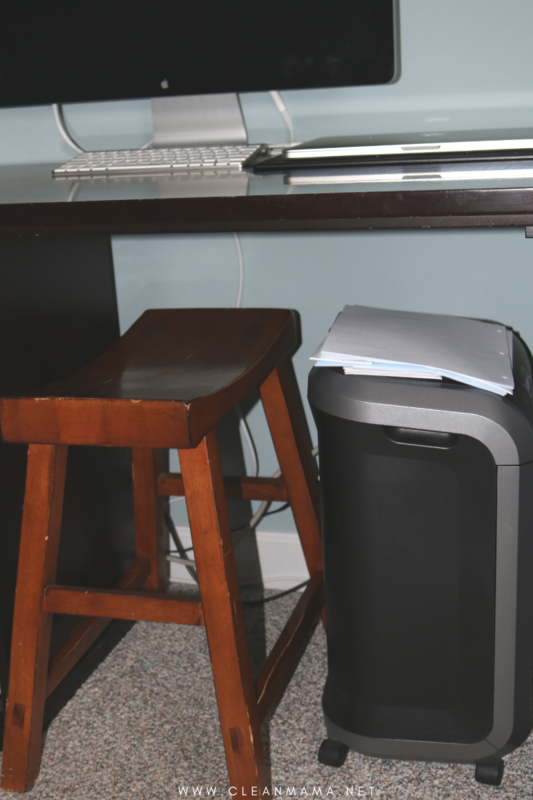 The kids will use this space for homework too – I just put a little stool under the chair spot and I keep the paper shredder (my favorite one is linked below) tucked in there too. You’ll see that I have a small stack of paper on top of the shredder. I let that stack up a bit and then shred it. Speaking of file folders, this is on the back wall of my office – on the left is a lateral file cabinet – I love it! I keep magazines that I’ve been featured in and the kids’ filing system (keep reading) on top. To the right is my bookcase with additional storage boxes underneath. 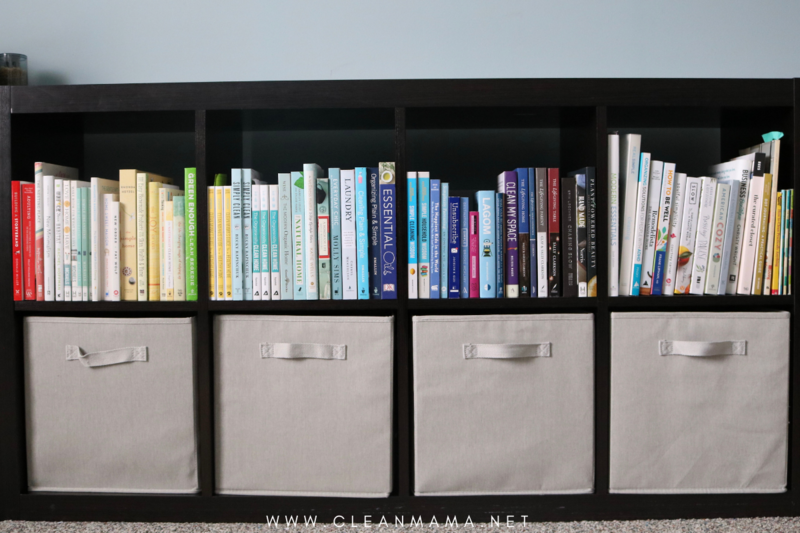 I recently re-organized my bookcase with the books at the top and the storage below – I love the unified space and it is functioning really well. I keep things like my label makers and extra office supplies in the soft bins. Here’s what the files look like in the filing cabinet – nothing special, just files and files of stuff we might need or need to keep. 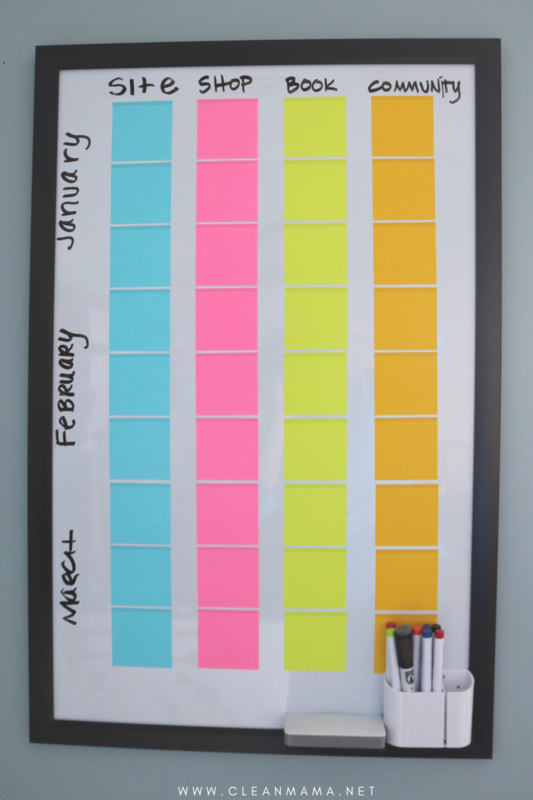 I also set up a large wall planner that I made to help me keep track of some business goals without going through reams of paper and endless sticky notes scattered on everything in my office (I have lots of ideas). So far it’s working – here’s a quick peek at that – I’ll do a thorough blog post on the process that I came up with soon. Kids and Paper. If you have them and they are in school, you know that it can be a daily deluge of papers. 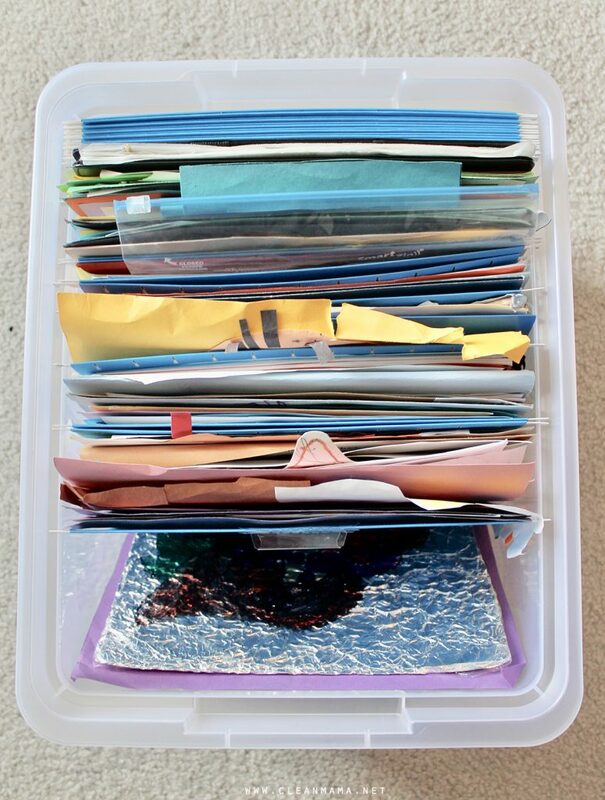 We use a stackable letter tray for the kids (oldest to youngest) – they each have a spot and this is where their papers go while we’re deciding on what to keep, shred, or file away for nostalgic reasons. Next up? 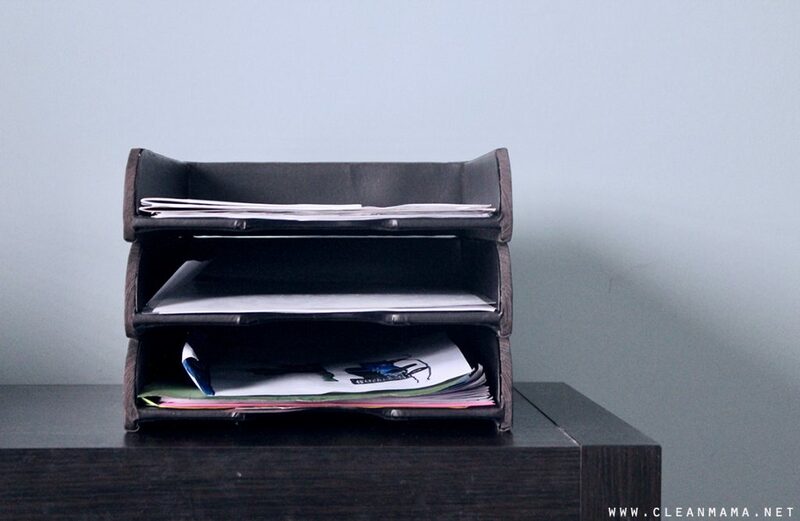 The best stuff goes in their file box – it’s divided by year and by folder. These file boxes stay in their closet on the top shelf. We go through them a couple times a year. Larger artwork goes in a portfolio that is stored in their rooms as well. I was an art teacher – I love keeping their best artwork in a portfolio to look at through the years. I wrote a post that details these three systems in depth with links and product information if you would like more, head to the post Essentials for Organizing Kids’ Papers and Memorabilia. Deal with it daily. The #1 secret to keeping paper clutter to a minimum is to deal with it daily. 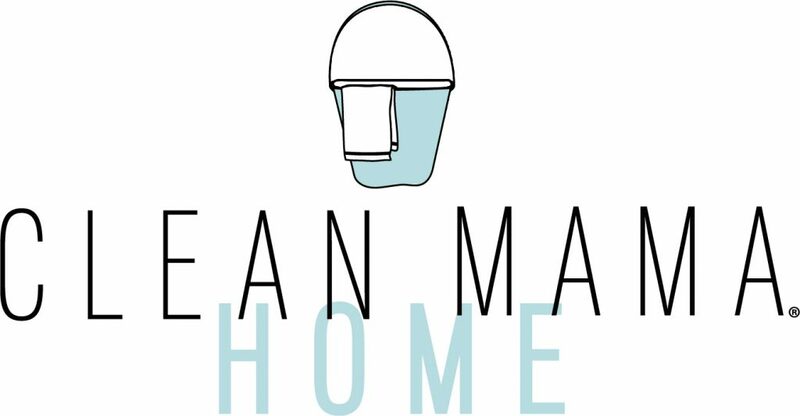 Processing mail, school papers, and any other paper that makes its way into your home right away is the best way to keep it from becoming overwhelming. Clutter is one of my five DAILY tasks. Paper falls under the clutter umbrella – if you follow my routine, make sure you’re including paper in your daily clutter routine. Shred, shred, shred. Buy a good quality shredder and use it. I linked up the one we have below. Don’t want to buy a shredder? Google shred day in your town or call your local bank – many towns and banks have one or two days a year where you can bring your stuff to be shredded. Get rid of unwanted mail. There’s a free app called PaperKarma – just scan your unwanted mail, they contact the sender, and the mail is gone. If you’re sick of getting those pre-screened credit offers you can go to OptOutPreScreen via the Federal Trade Commission to get off that list. Evernote – a way to digitally remember everything. Neat and Doxie are digital scanning devices you can use. Store photos digitally. I’m sure that this is another post, but I use Shutterfly, DropBox and an external hard drive, but there are lots of options out there for slimming down the picture stacks. Print a book once every year or two and you’ll be on your way to keeping those photos updated. If you’re behind, start with the current year and work backwards. (I’m way behind on this but have made plans to get this taken care of in 2019). 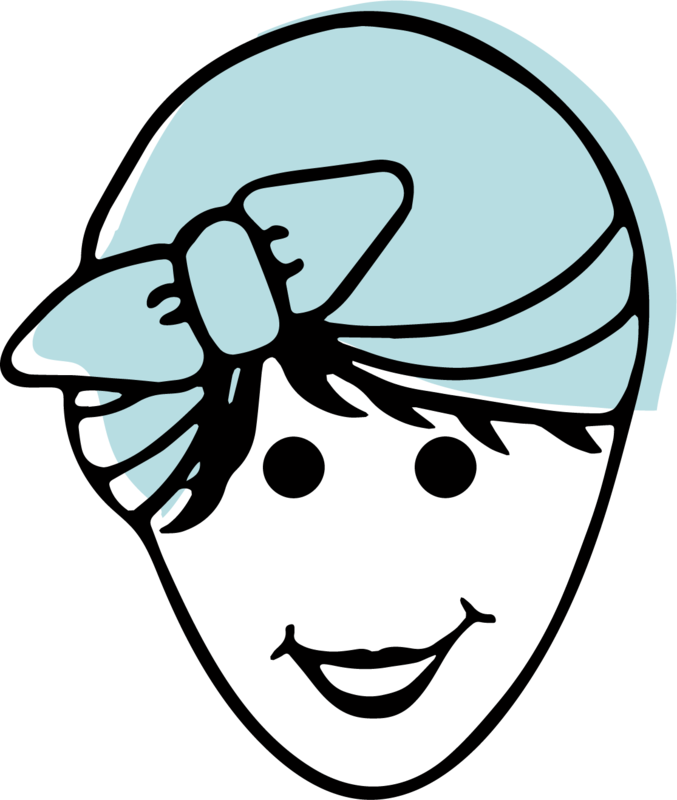 Store pdfs and printables digitally. I store pdfs in Dropbox or on iCloud. 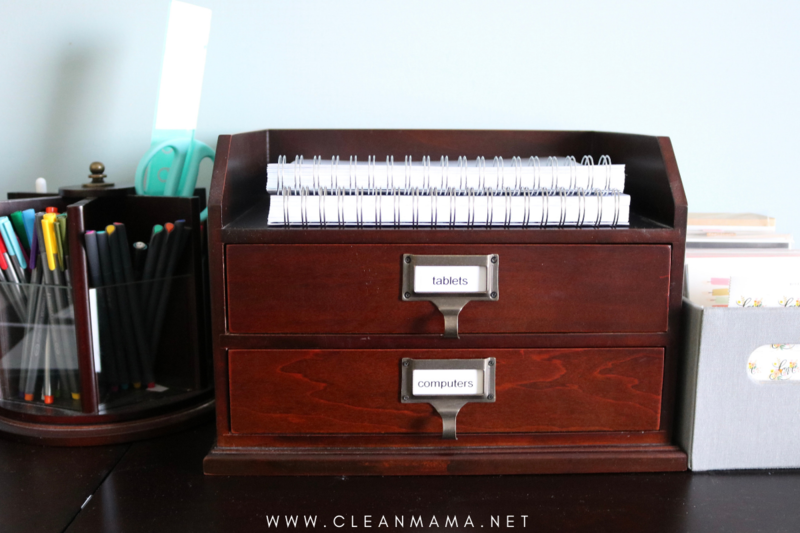 Set up a folder for each category and you can quickly find any printables you need. Everything’s stored in the cloud and can be found on any device – easy peasy. Did you know that if you have a tablet, like an iPad you can use printables paperless with an app like Notability that lets you digitally write on your pdfs and take notes with you anywhere? Curious on how long you should keep paper for? Check out this free printable guide! Looking for a product? I’ve linked up everything that I can below…. OMG such great ideas! You’re SO organized! 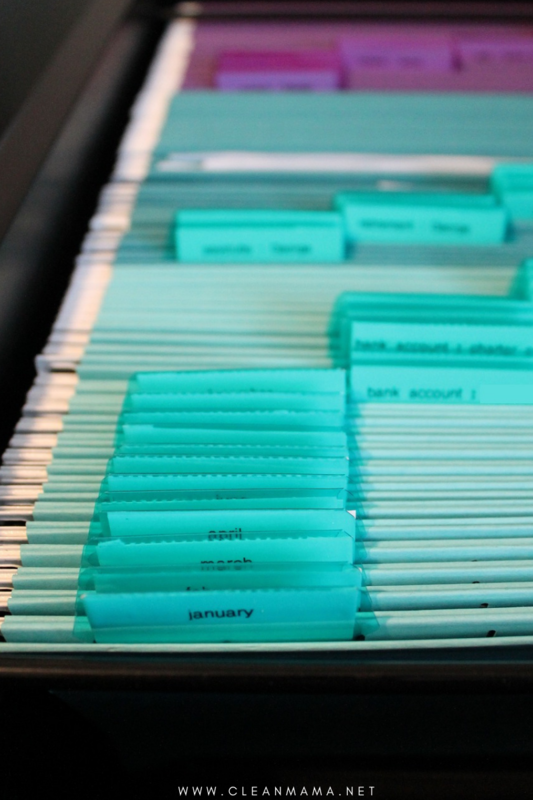 Would you mind sharing the categories in your file cabinet? Organizing papers is on my to-do list for 2019. Thanks so much this is exactly what I needed. Now I just need someone to come file for me! Thanks for sharing! I like the large wall planner you made. I find myself writing ideas in 10 different places & cant keep track of it all. I try to get in the habit of putting everything in a list on my phone, which helps a bit, since that can be done on the go. But, I like the idea of seeing everything on the wall. Looking forward to hearing more about it i when that post comes. Love the command center. Still trying to set one up. 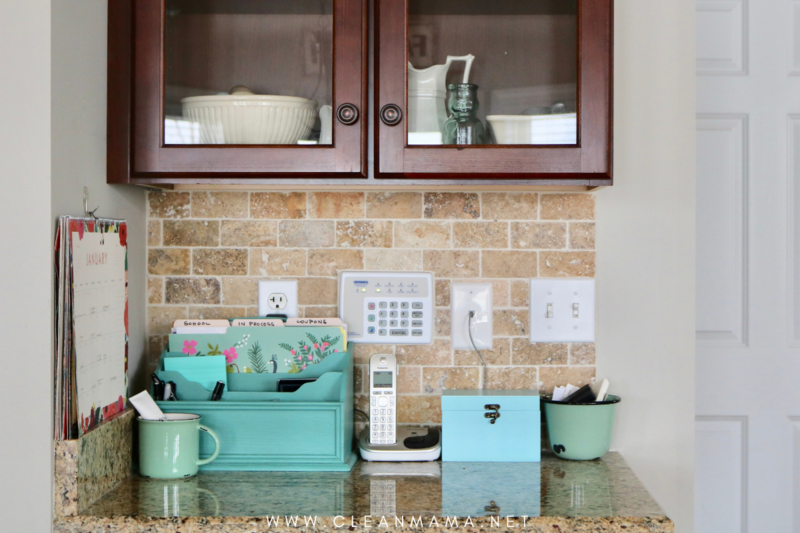 Is there a link for the small organizer you have. Also, is there a command center setup link? THANK YOU for this. I hate “piles” but I find it so hard to avoid them! 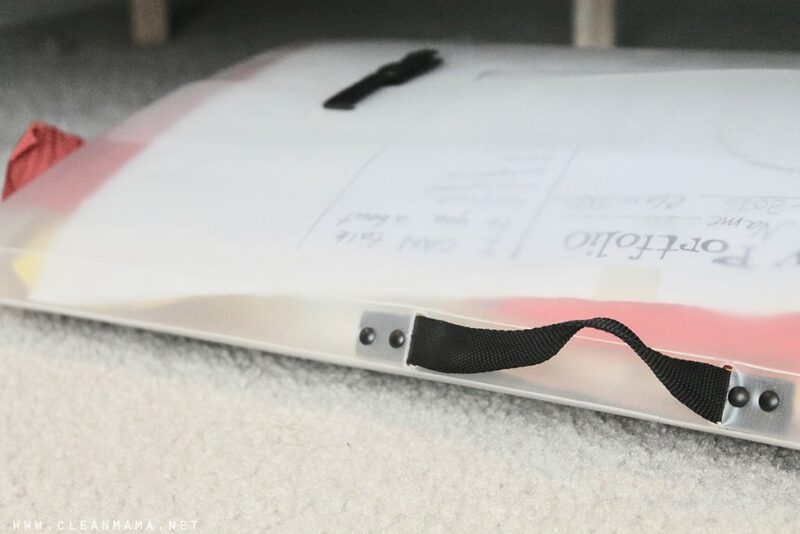 Where did you get the blue file organizer? That would be perfect for the spot in my kitchen where school papers tend to accumulate. I got it at HOmeGoods but a similar one is linked at the bottom of the post. Thank you for this post, Becky!! 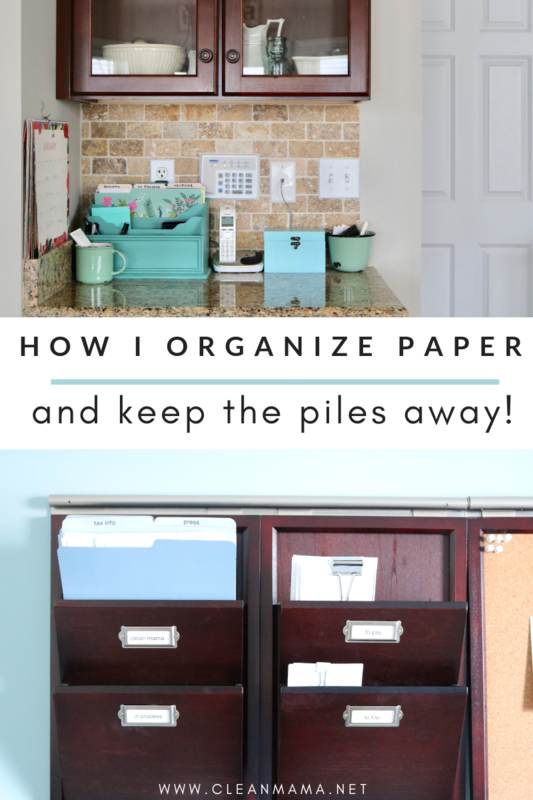 So helpful…paper is by far the biggest “clutterer” in my house and I have resolved to get rid of the piles. 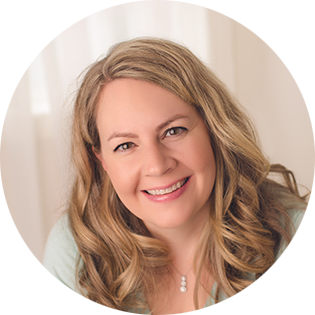 Making good headway, but I am just at the point to actually set up a workable organization system and here came your guidance…..Perfect.